Like most conventions that I've attended in the past seven years, the majority of your morning is packing up and clearing the room. Reminding myself that I had $400 riding on the room being spotless, I made sure time and time again that everything looked spot-on and nothing was out of place. Interestingly enough, I was able to repark my car at 7am after I had wheeled all my baggage downstairs but when I went to place Ray's baggage four hours later I was told by Marriott staff that I could not repark the car and that I had to park somewhere else. I made the quick call to park down at the convention center parking lot, even if that cost me another $10+. By noon, the check-out deadline, I had my money in hand and I was ready to go after touring the convention and the area one last time. One last time to see friends and say my good-byes, one last time to shop the Dealers Hall and Artists Alley (I bought the second Miku vinyl that day), one last time to play all those games. 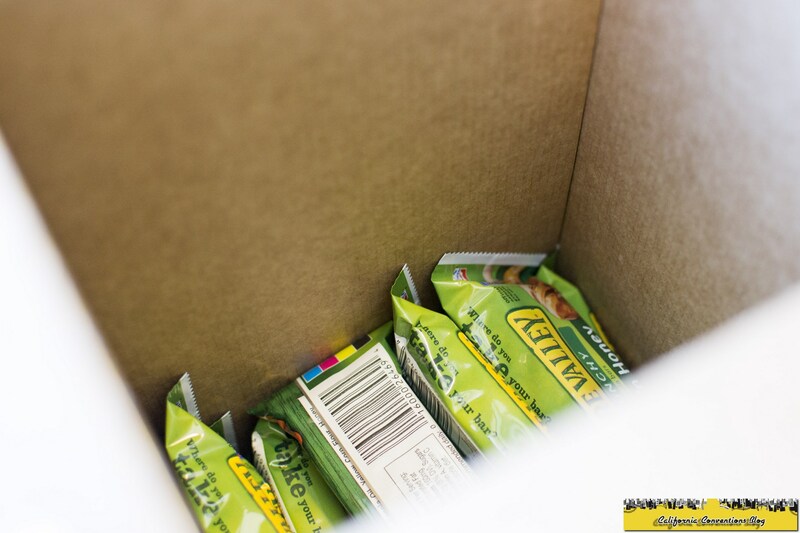 The remaining Nature Valley bars inside the box. I went on a "giving-away" spree in the elevators until I ran out. I even used one that I had stashed away as barter in an exchange for a program guide. 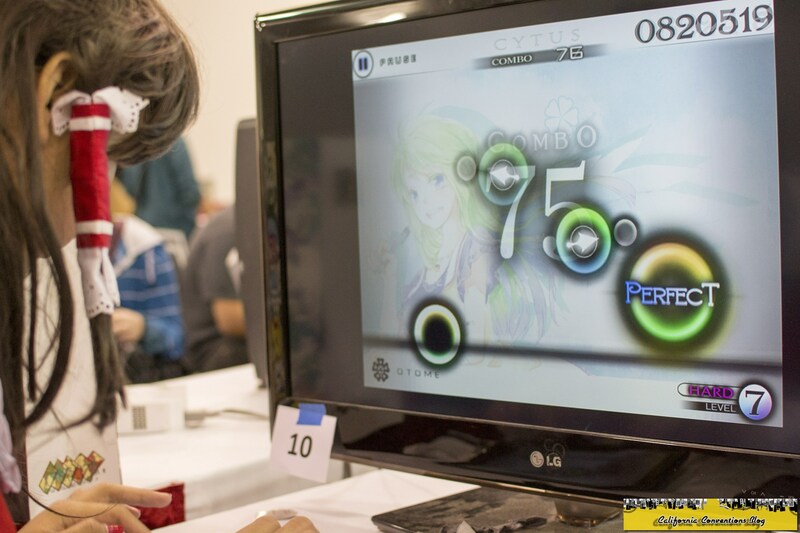 Ray playing one of the many rhythm games available on iOS. 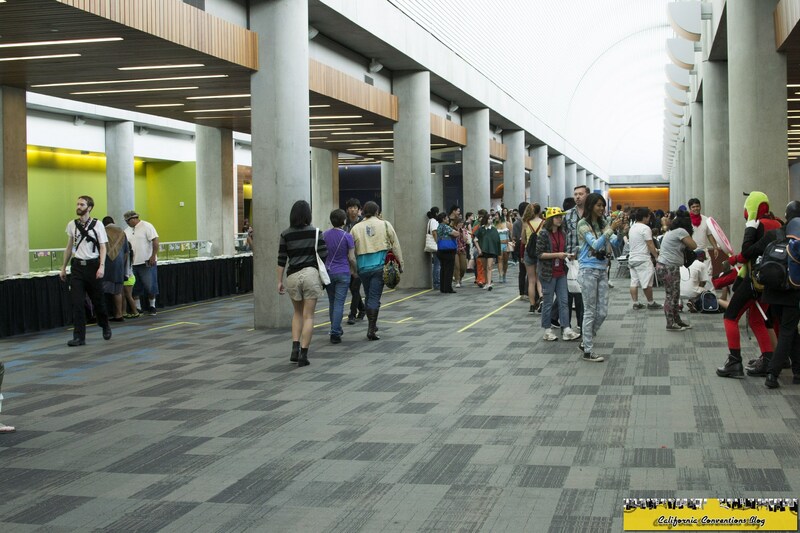 The crowds thinning out on the last day of the convention. 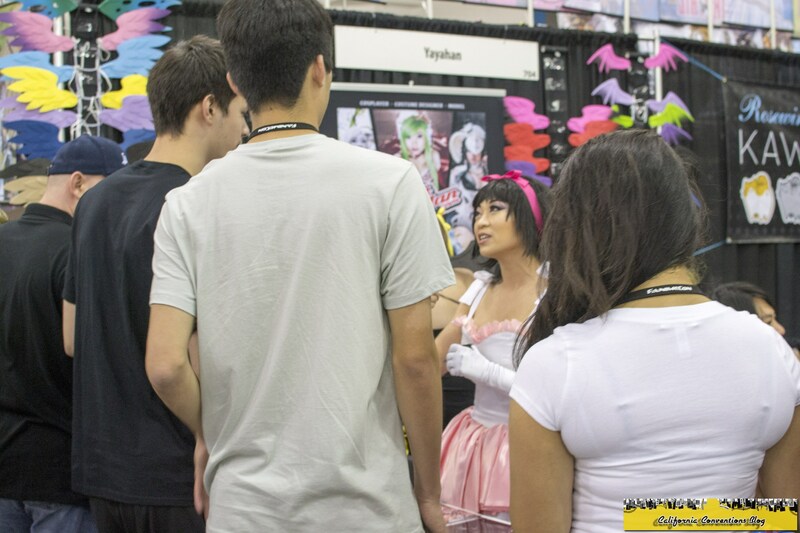 My only shot of Yaya Han. I wish I took more photos of her. 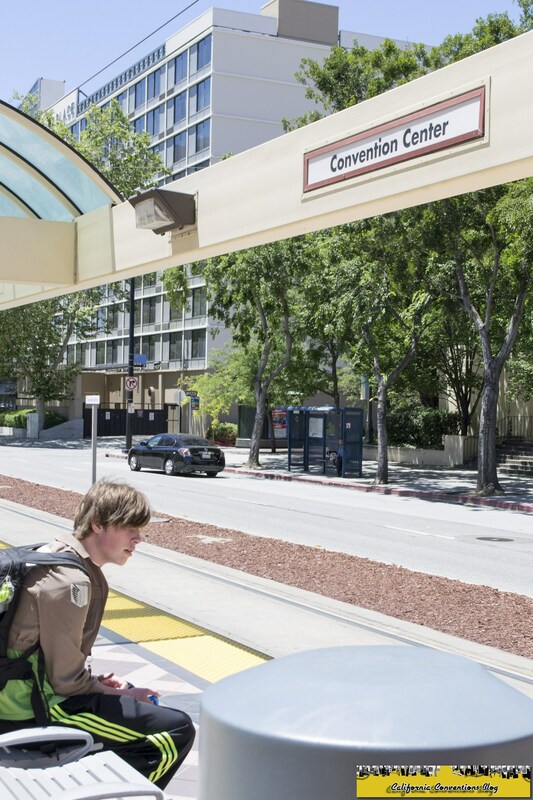 I had some time to roam around and explore some of the spots from when I first attended FanimeCon; most notably the Hyatt Place Hotel, which was formerly known as the Crowne Plaza back in 2007. The place had changed drastically from when I first stayed there, and it still looks like a good fall-back hotel alongside the Fairmont if both the Marriott and Hilton were sold out. My favorite shot of the entire convention. 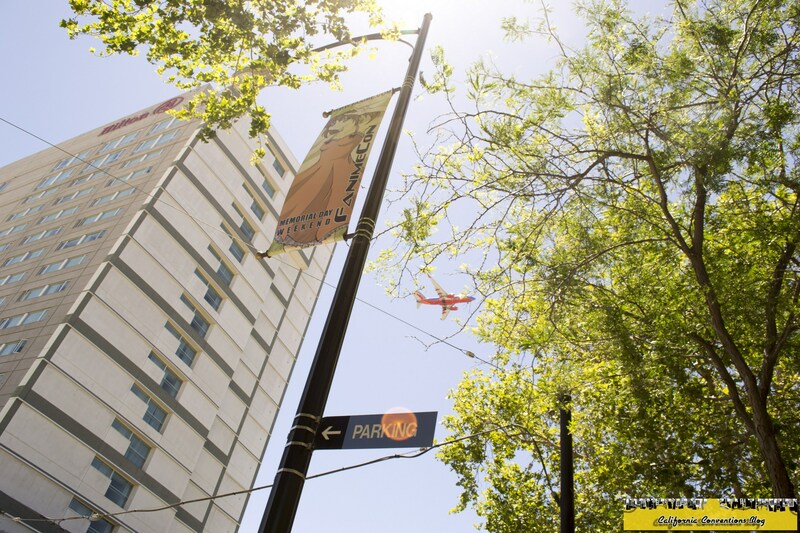 Brings together FanimeCon and the city of San Jose into one shot. An attendee waiting to go home on the VTA. 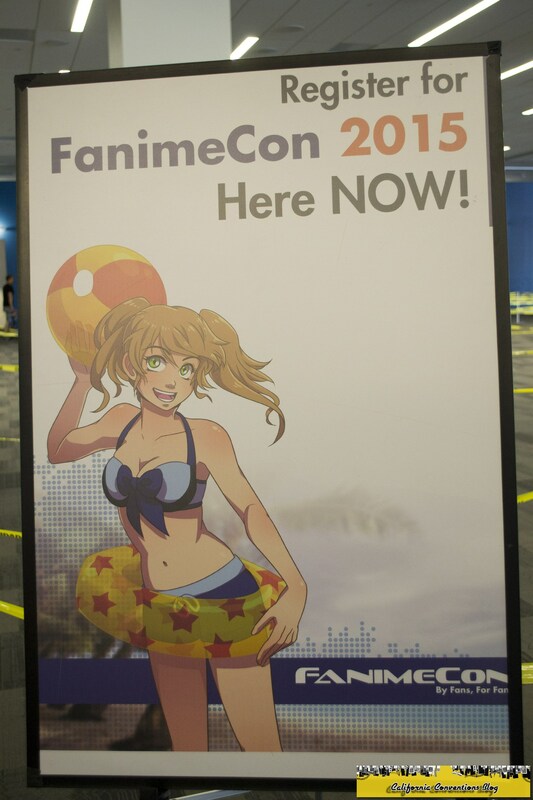 If only I could pro register for next year's FanimeCon on the last day because I really want to come back next year. I still haven't met my goal of attending Closing Ceremonies primarily because of the daunting task of driving back home with the potential Memorial Day "coming home" traffic before sundown. I think I'll relegate attending to if I stay beyond Monday into Tuesday. I took Ray home shortly after 2pm and made the trek back to Sacramento. However, I had to make a run over to Aaron Brothers in Elk Grove to pick up some frames for the HOME MADE Kazoku autograph, my Cosplay Gatherings certificate, and my Bachelor's degree in Economics which now hangs where my 2008 autographed booklet hanged. After a decent Mongolian BBQ meal even though I wanted Korean BBQ, I made it home. After plopping everything down, I began the task of converting and editing the nearly combined 90 GB of photo and videos.